This game allows you to play against either an AI computer opponent or one of your friends or family in a fantastic 2 player mode. Whichever mode you play, the controls are easy and the billiards gameplay is realistic. 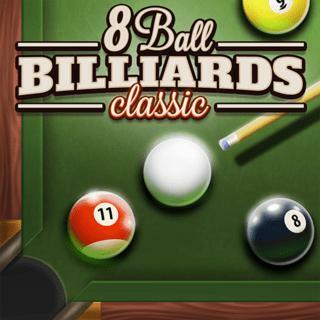 8 Ball Billiards Classic is a fun sports game in which you can try your hand at Billiards! The standard rules of billiards apply and you must try and pot the balls in color sequence. No matter what level of skill you are, everyone can enjoy this game and have fun trying to pot as many balls as possible! Use your mouse to aim with your snooker cue and click and drag the left mouse button to adjust the shot power – release when you are ready! Can you conquer the billiards table and beat every opponent?